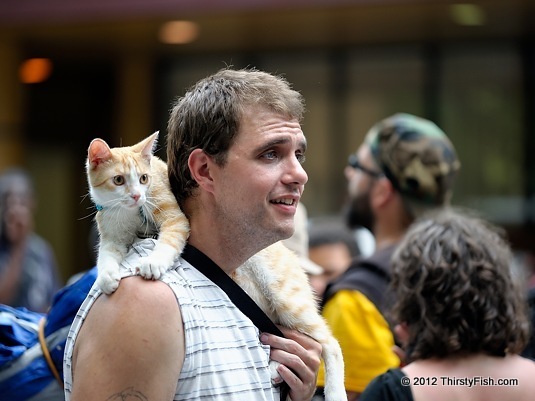 Another photo from Occupy National Gathering, presenting the Occupy Cat. Occupy Sandy relief efforst are continuing. If you want to volunteer to join the relief effort you can visit the InterOccupy.net site. Using their extensive social media reach, Occupy organized a relief effort that often surpassed the local and state agencies. Recently BillMoyers.com covered the Hurricane Sandy Poeple's Relief efforts.